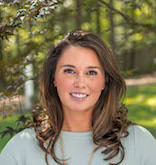 Serving all of Central Arkansas, whether you are selling your home or looking to buy your dream home, put Jessica Plouch to work for you! A true professional that understands the industry and the market, ensuring you top dollar for your home. Dedicated to providing customer satisfaction. Will make buying or selling your home as fun and easy as possible. Dedication and Experience that will move you. Member of National Association of Reatlors and South Central Arkansas Board of Realtors. Holds GRI (Graduate Realtor Institute), E-PRO, & AHWD (At Home with Diversity) Designations. Free Comparative Market Analysis for Sellers. Offers Exclusive Buyer Agency for Buyers.